Azadi Stadium (Stadium of Peace in Persian) is considered one of the hottest football grounds in Asia and we don’t just mean the climate of Tehran. 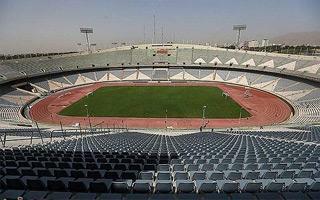 Built for 100,000 people in 1973, it drew crowds well in excess of that number on numerous occasions, be it international games or the famous derby between Esteghlal and Persepolis. But from 2003 its capacity has been falling continuously with partial seat installation. Since 2012 all of the lower ring has been seated (roughly 32,000), while this summer the far larger upper tier was also equipped with individual seats. With that investment (along with renovation of the concrete in some sections) Azadi is now formally a FIFA-compliant all-seater stadium. That’s the good news. At the same time its capacity is lower than it ever was since opening, at exactly 78,116 people. While Azadi is smaller than it used to be, the conversion to all-seater makes it the 20th largest worldwide in this category. Among stadiums with standing room it was ranked lower than that.